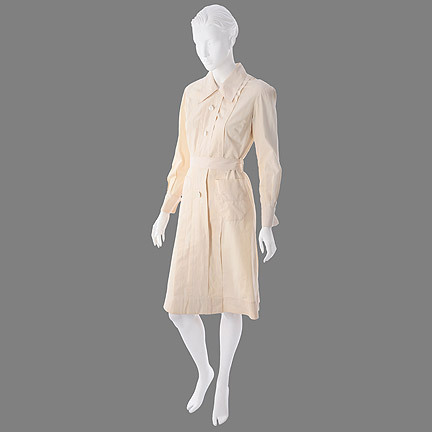 This costume was worn by the character "Lt. Rosemary Larson," portrayed by actress Barbara Britton, in the 1943 motion picture, "So Proudly We Hail." 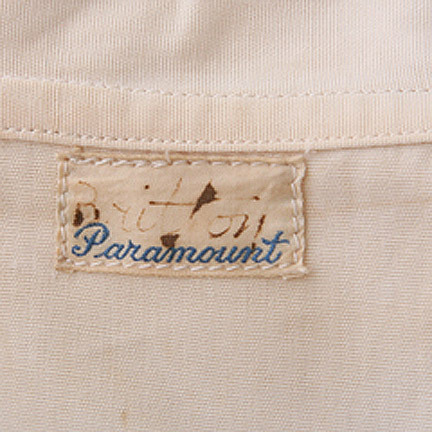 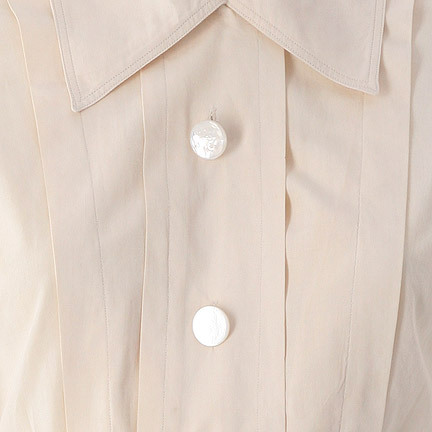 This long sleeve white collared nurse dress has a three-button front closure, 2 lower pouch pockets with the original Paramount label sewn in with "Britton" clearly written in black. 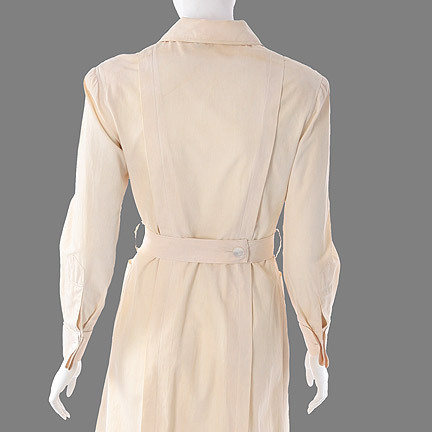 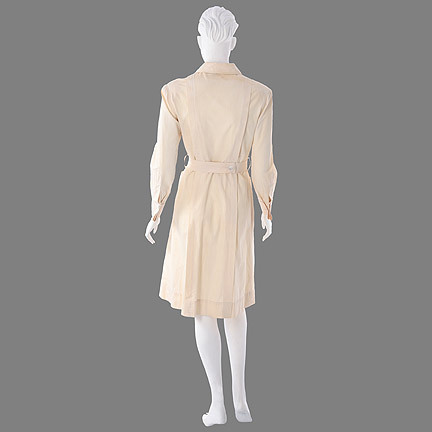 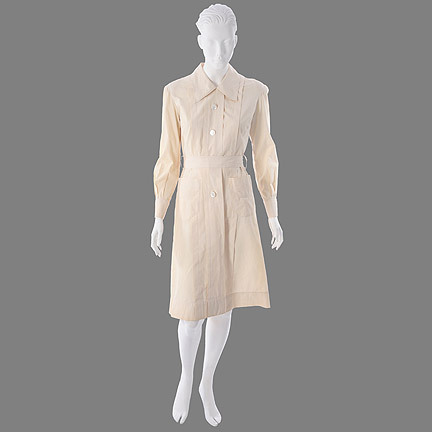 This dress is worn on the ship during the first part of the film, and briefly once the nurses arrive in Bataan before they are forced to don men's jumpsuits for practical reasons. 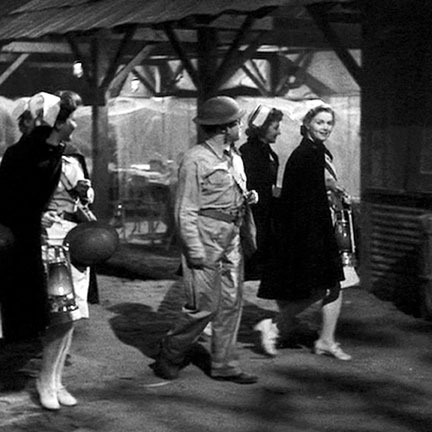 "So Proudly We Hail," starring Claudette Colbert, Paulette Goddard, George Reeves, and Veronica Lake was nominated for four Academy Awards. 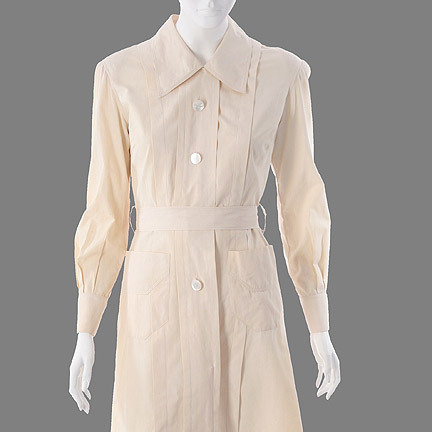 Made while WWII still raged, the film follows a group of nurses, originally on their way to Pearl Harbor, who is diverted to the Philippines during the worst Japanese bombardment of Bataan and Corregidor. 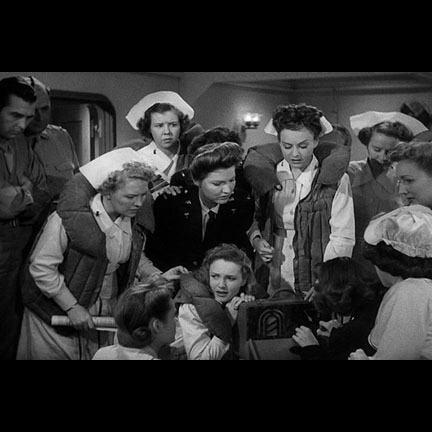 The film was overseen by many of the surviving nurses (who were also extras on the film) and war correspondents to ensure the film accurately recorded their experience.